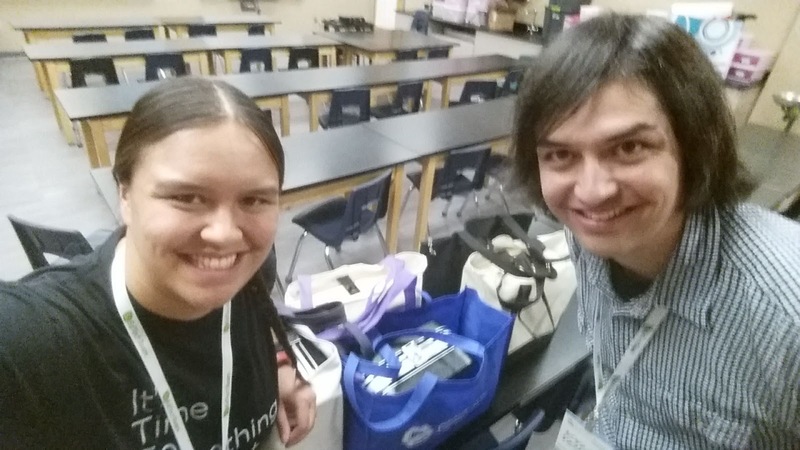 Colorado 2016 | The first Ed Tech conference I ever attended! I love reflecting on my own growth as a presenter. One of the best parts of this summit was presenting with my brother :-). I love that we are both in education, and it is so cool to be able to collaborate on things like this! His attendance at the 2015 Colorado Summit is what sparked my interest in attending & getting into ed tech in general, and look at where that's ended up! I feel so blessed to have the opportunity to share this experience with family and initiate my bro into the world of leading PD at the same time (and I have to say, he is awesome)! Biggest personal win: I was much more confident and not as nervous as I have been in the past! That's not to say that there were no nerves, but I am growing more comfortable with it all. I even tried two new sessions this summit, and felt pretty good about them (which isn't always the case - I'm my own worst critic at times). I was able to enjoy myself not only during the presentations, but also before and after, because I wasn't worrying as much about everything. I always learn new things. No matter how many professional development events I go to, I always learn something new. I learn new ways to use tools, I learn hacks I hadn't known about previously, I learn about the new tools on the market, and I learn how to be a better presenter by watching those around me. And, as I overheard somebody say before we started the second morning, this is good professional development! It includes choice for the participants, isn't just "sit-n-get", and it is about relevant topics. As a person who leads a lot of PD, I appreciate the times when I am able to be a learner. In the end, it always comes back to the people. This is not a new revelation for me, but it comes back every time. I was excited to meet some PLN friends face-to-face for the first time, and make new friends F2F that are now a part of my PLN! You know when you find "your people", and it just clicks? I felt that way these past couple of days. I appreciate the positivity, the energy, and also the honesty of those who attended. We are not trying to brush over the hardships, but we are all there because we truly care, and we want to make education better for every single kid. I also have to give special shoutouts to my old/new friend Lisa who took the time to chat with me and give me amazing advice during lunch one day, to Pam for initiating a Twitter DM conversation a few days before the event so it felt like we were old friends by the time we finally met, and to Jess for continually encouraging me and nudging me out of my comfort zone. That is not an exhaustive list, but it's these personal interactions that I remember the most, and they make the conference for me! Well, I'm not sure, but I'm excited to continue presenting, learning, and forming relationships wherever I go! And, of course, I can't let this opportunity go by without putting in a plug for the next #EdTechTeam Colorado Summit, coming in November! I hope to see many of you there!